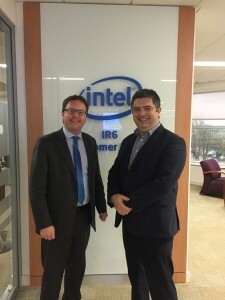 In my role as technology spokesperson for Fianna Fáil I meet with Intel regularly and congratulate them on this next step. They are a fantastic local employer and also heavily invested in the local community and this grant of permission is a very welcome and progressive step by the county council. This permission now enables Intel Ireland to bid for the tender which if successful will create 3,000 construction jobs and in excess of 850 full time jobs once developed.